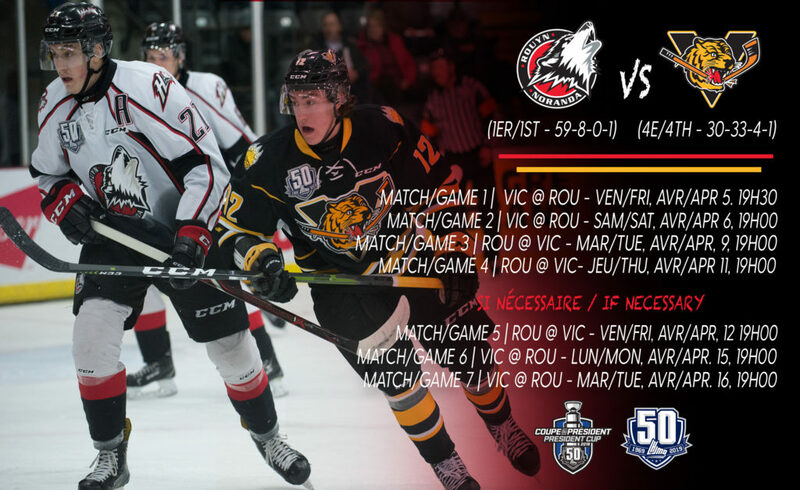 It will be a veteran presence taking on a youth movement when the Rouyn-Noranda Huskies do battle with the Victoriaville Tigres in their President Cup Quarter-Final series, which starts tonight at the Iamgold Arena. 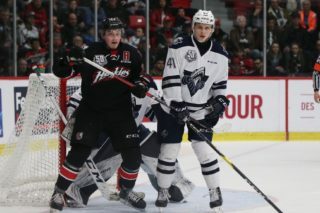 The Huskies, after setting a new league record for wins in the regular season following their 59-8-0-1 campaign, were given a surprising test by the Shawinigan Cataractes in round one. 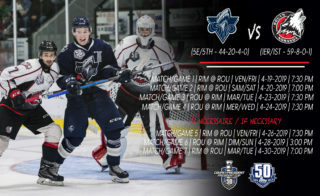 Despite finishing 86 points ahead of the Cataractes during the regular season, it took six games before the Huskies punched its ticket to the Quarter-Finals. This is the third time in the past four seasons that Rouyn-Noranda finds itself in the second round. They’ll be aiming to reach the league Semi-Finals for the first time since their President Cup-winning club turned the trick in 2016. The Tigres went to the limit – and then some – before earning its berth in this series. 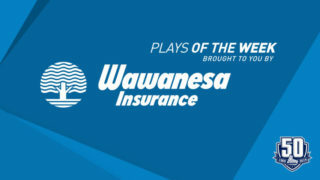 Down three games to two against the Val d’Or Foreurs, the club staved off elimination with a win in Game 6 before requiring overtime in the winner-take-all Game 7. 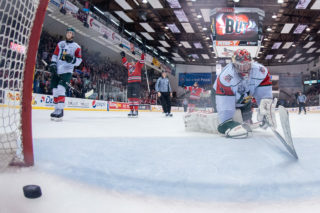 As it turned out, it wouldn’t take all that long in the extra session for a victor to be crowned as Olivier Mathieu’s second goal of the playoffs just 35 seconds into the fourth period would send the Tigres to the President Cup Quarter-Finals for the second consecutive year. The organization will subsequently be looking to make it two straight years in the league Semi-Finals for the first time since 1989-90, when they appeared in back-to-back league finals. The Huskies went a perfect 4-0 against the Tigres during the regular season. It was not an easy sweep however, as three of the four games were decided by two goals or less. The last two meetings between these teams, on December 15th and November 23rd, produced identical 2-1 results in favour of the Huskies. Peter Abbandonato led the offensive charge for the Huskies during the regular season, winning the scoring title in the process, and the post-season has been more of the same thus far. He currently stands tied for the playoff scoring lead in the “Q” with 13 points, including a league-high 11 assists. Defenseman Noah Dobson sits in second place overall with eight assists and leads all rearguard in total points with ten. Rafael Harvey-Pinard’s four powerplay goals leave him tied for the league lead in that department. Between the pipes, Samuel Harvey has kept up his stellar play from the regular season, as proven by his 1.90 GAA, good for second in the circuit through round one, as well as a .912 save percentage and one shutout. The Tigres inserted no less than ten rookies in their lineup throughout the series. Much like during the season, the team proved that the kids were more than all right. Russian linemates Egor Serdyuk and Mikhail Abramov enter round two tied for the league lead in playoff scoring among rookies with six points each. This has proven to be a perfect compliment to the play of veteran centers Simon Lafrance (nine points) and Anthony Poulin (eight points), as well as Dominic Cormier, who sits second only to the Dobson in scoring among all defenseman this postseason with nine points. Tristan Cote-Cazenave has continued to be his usual, steady self, posting a 2.64 GAA versus Val d’Or in round one. 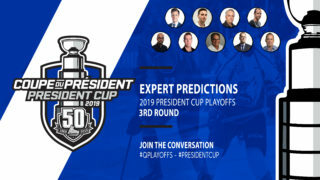 Like most of the series in this year’s President Cup Quarter-Finals, this one will feature two teams with a very limited history of postseason battles. 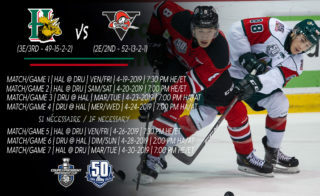 The only previous times these clubs faced off in the playoffs occurred in 2002, when the Tigres eliminated the Huskies in a four-game, first-round sweep on its march to what remains the franchise’s lone President Cup title. Will the Huskies continue its historic march to greatness? With the Tigres once again find victory in Northern Quebec? The answers to these questions will be revealed in the coming days.